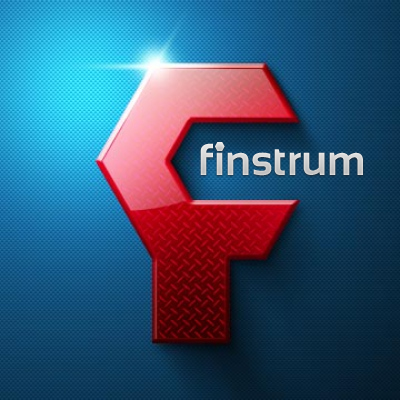 Finstrum International S.A. offers you options for cooperation with new payment service Finstrum®. Find out more about the service on our website: www.finstrum.com. Finstrum® technology has been developed and is managed by the company Finstrum International S.A. based on the financial operations licenses (funds processing and factoring) issued by the Republic of Panama government. Electronic voucher Finstrum® can be used by any voucher holder for financial online operations including Internet purchases, exchange for electronic currency, payment for online casino bets and obtaining the winnings. Finstrum® electronic voucher is the best payment method for Internet clubs present on the market. Besides, installing the necessary programs takes less than a day because it can be done remotely. Our highly-qualified specialists know how to integrate online casino payment systems and electronic vouchers, launch and test software in a matter of hours. - Finstrum® electronic voucher can be sold automatically, using special equipment — electronic kiosks — and through agent’s/subagent’s cash desk using the special check thermal printer and QR code scanner. - Allows to pay for services online without additional registration. For example, online casino accepting vouchers allows to start playing at once after input of voucher PIN number (instant play) and automatically adds winnings to this voucher. Opening of a player’s account, when a client needs to remember login, choose password and have an email, is not necessary. - Web interface of Finstrum® payment terminal allows user to apply voucher for payment for the most popular services in RF – mobile operators and Internet providers. - To make the procedure of voucher payment easier, user can scan a QR code printed on voucher, with a help of a simple webcam. QR code has encrypted voucher requisites, that’s why it’s no longer necessary to type them manually! - Finstrum specialists provide a 24/7 technical support via phone, email and Skype. With reference to the foregoing we offer you the following trends for mutually beneficial cooperation. In case you need to change the gaming system, you will not need to buy new equipment or to retrain your staff; the procedure will take a couple of minutes, and the payment platform will remain the same! Know-how! If you own several cafes or a chain, you can make voucher sales outlets friendly to each other. In that case voucher sold in one of your cafes can be converted into cash in another friendly café. 2) Engaging agents and representatives to promote the system on local markets. We are open to cooperation and looking for local agents and representatives to popularize the service on local markets. Our agents get decent compensation composed of percentage profit gained for attracted customers. 3) We are also ready to consider other forms of collaboration that have connection to the range of services provided by Finstrum ® payment service. Device allows to automatize the voucher sales process, voucher loading and withdrawal. Software is provided by Finstrum International S.A.